The Market Report: Market Guide 2018 Out Now! 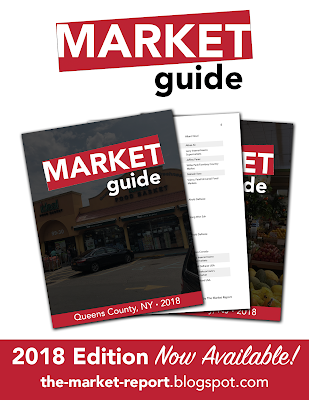 As promised, here's the 2018 edition of the Market Guide! (Yes, I know there are only three months left in 2018. But I did also just finish this last night!) Click on the link below to see the complete selection of 2018 Market Guides, including all 21 counties of New Jersey, the five boroughs of New York City, and two banners. Each store listing is arranged by municipality (New Jersey and banners) or ZIP code (New York City), and contains the store's full address and, where possible, the owner or principal. For the 2019 edition, I hope to update all 28 of these and create a few new ones as well. Are there any geographic areas that you'd like to see covered? I will probably do some more counties in New York, since it's easy to find owner/principal names for NY businesses. What other requests do you have? Wow, this looks like it took you ages to make! Great job! Also, a fun fact about BD Supermarket: It was opened by two of the four original owners of Noya Bazar after they had split up in a conflict(that was taken to court). It was a lot of work, but to be fair, I already had most of the lists compiled already. I just had to update them, put them in this format, and add the owners' names. Oh, very interesting! I'd heard about the opening of BD Supermarket, but I didn't know those details. The next time I'm up around Paterson, I'd like to check it out.